Since 2008, Ellen Dorsey has served as Executive Director of the Washington, D.C.-based Wallace Global Fund, a private foundation that focuses on environmental protection, advancement of democracy and human rights, and corporate accountability. Previously, Dr. Dorsey was Senior Program Officer in the Environment Program for the Heinz Endowments, Executive Director of the Rachel Carson Institute, and founder of the Human Rights and Environment Program of Amnesty International. Dr. Dorsey holds a doctorate in Political Science from the University of Pittsburgh, and she holds a Fulbright Scholarship in South Africa. She has published widely on issues of global human rights, environment and development. 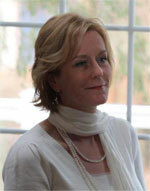 She has served as professor and adjunct professor of international relations at several universities. Dorsey served as Board Chair of Amnesty International USA and she currently serves on Boards of US Human Rights Network and the Global Initiative for Economic and Social Rights.